U.S. Customs and Border Protection provided Winooski police with a helicopter in the predawn raid that busted Deirdre Hey, 47, on charges of selling heroin. The cops also claimed that Hey had allowed New York City dealers to use her apartment as their HQ. A few weeks later, Hey admitted to Seven Days that she used and sold heroin. She seemed proud that she could carry on a lucid conversation in her Winooski apartment just hours after getting high. But Hey argued that she was a small-time dealer, unworthy of so much attention. Her gas had been shut off, and she was using the electric stove to heat water for bathing and washing dishes. "If I'm so big-time, you'd think my bills would be paid," Hey said. "I am not a conduit for people coming from out of state. I'm not, and I don't know how they get that. Yes, I have made some mistakes, and I admit what I have done. But I am not some big-time dealer. I have nothing." Hey said she had no plans to stop using heroin, which she said helped ease pain from a degenerative disk condition in her back. UPDATE: Hey has gotten into more trouble since her April altercation with Winooski police. 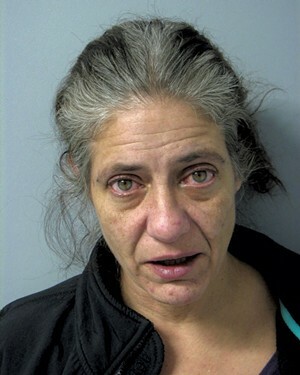 A federal grand jury indicted her on charges of conspiring to sell heroin and cocaine. In court documents, authorities alleged that Hey confessed to having ties to at least six groups of out-of-state drug dealers who used her apartment as a base of operations. Prosecutors say that Hey was inside her apartment when she brokered a deal to sell a stolen assault rifle and a handgun to two New York City men. Facing up to 20 years in prison, Hey was awaiting trial in the Chittenden Regional Correctional Facility in South Burlington and did not respond to a request for comment. According to court documents, she had a successful back operation — at taxpayer expense — and now spends much of her time in a wheelchair. Her attorney asked a judge to release Hey so that she could have the intensive physical therapy she needs to get back on her feet. But prosecutors objected to the request, and a judge denied it. Hey's attorney, Frank Twarog, said that she was struggling with back pain, and has to use a walker when she's not in the wheelchair. "You don't quite get the care you'd get," outside of the prison health care system, he said. "She is not as far along in her recovery as she would be if she was not in jail." The original print version of this article was headlined "Jailed Winooski Heroin Dealer Struggling With Health Problems"